CBD or Cannabidiol is a cannabis compound which has therapeutic properties. It effectively treats a host of diseases, including epilepsy, cancer, arthritis, pain, anxiety disorders, and many others. CBD Products may come in different forms, e.g. sprays, gel caps, and vaping products. CBD/THC Soft Gel Caps come with five levels of CBD-to-THC ratios for flexible dosing. All products are lab-tested for safety and high quality. As per the requirements of patients, cannabis medicine can be adjusted to suit their particular condition and personal preferences. What are the Benefits of CBD/THC Soft Gel Caps – 1:1? CBD/THC Soft Gel Caps 1:1 is suitable for medical marijuana users suffering from pain, stress, and anxiety. Because of its high THC ratio, it is recommended for users with a relatively higher THC tolerance. 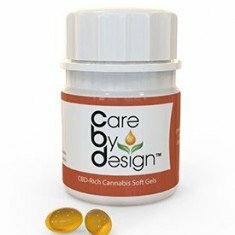 With appropriate dosing, CBD/THC Soft Gel Caps offer deep and long-lasting relaxation which may take up to 2 hours before its effects begin to manifest. Great!!! deep & long-lasting relaxation!!! 1 capsule provides relaxation for a long time!!! !